What is it like to be old? Diana Athill made her reputation as a writer with the candour of her memoirs - her commitment, in her words, 'to understand, to be aware, to touch the truth'. Now in her nineties, and freed from any inhibitions that even she may once have had, she reflects frankly on the losses and occasionally the gains that old age brings, and on the wisdom and fortitude required to face death. This is a lively narrative of events, lovers and friendships: the people and experiences that have taught her to regret very little, to resist despondency and to question the beliefs and customs of her own generation. 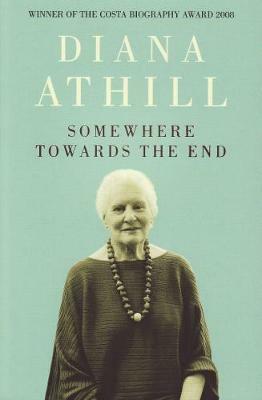 Diana Athill was born in 1917. She worked for the BBC throughout the Second World War and then helped Andre Deutsch establish the publishing company that bore his name. She is the author of five volumes of memoirs, Stet, Instead of a Letter, After a Funeral, Yesterday Morning, Make Believe, and a novel, Don't Look at Me Like That.